Link: NPR : Cat Power in Concert. NPR, the source of some of the best audio on the web and in the air, has always had a multimedia-challenged website. They are working to change that. They have, in the last year or so, gotten some web-savvy m-school kids (m for multimedia) to help with photos and such, and are now in the market for someone to bring some sense to their efforts. in the meantime NPR has, little by little, been tricking out aspects of their site by what ever means necessary. 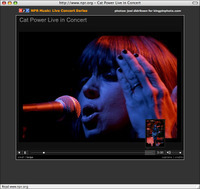 Take this recent live broadcast of the Cat Power concert in D.C. It has a audio slide show, the complete audio from the show, and some text to make the 'word people' feel better. All around they are moving in the right direction. Once they complete their transition, this may be the site to come to for more than just audio archives! 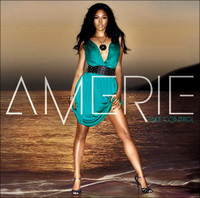 Amerie is an Army brat with the voice and looks of an angel. Her music is R&B with a pinch of D.C. Go-go, and it rocks. Amerie has a new single out and an album on the way. Check her out! Great interview yesterday in the N.Y. Times with Chan Marshall, aka Cat Power. Interestingly, the text was very short and when you watch the video you realize that the vid could easily replace the text altogether...a vision of the future? Speaking of the future, I am still in love with the N.Y. Times Reader. It's a new take on one of the first online paradigms, the downloadable newspaper. This is done much better, however, and with today's bandwidth and access, the concept could stick this time. Check out Slate's take on it here. In Any Language, a Whole Lotta Shakira Goin' On. 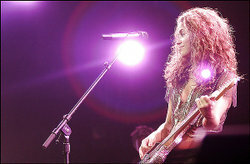 Shakira doesn't need much to shake an arena to its rafters. No pyrotechnics, no army of backup dancers, no elaborate staging -- not even a pair of shoes.Just her charisma, pipes and hips. Go Put Your Records On! 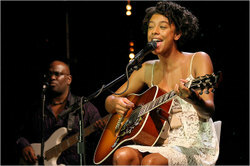 Corinne Bailey Rae-Music-Review - New York Times. Too bad my local paper, (and my employer) The Washington Post, couldn't get its act together enough to review her 2 local shows. I loved the one at The Birchmere last weekend, as did my 16 year old son. She is the real deal, just wonderful to listen to and to see. NPR : Sara Tavares Balances Musical Influences. "Sara Tavares is truly an international talent. But the 26-year-old Portuguese-born singer, whose parents are from Cape Verde, seems most at home behind her guitar, making music. "It's a whole inner process of dealing with my issues, and I think the music is medicine and a cathartic process for me," she says. "So that's why I do it -- for me most of all." Even if Tavares writes for herself first, she says that, in a way, she also represents a nation. 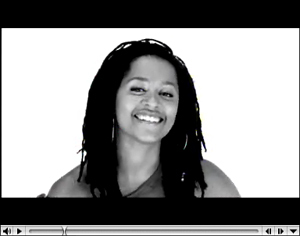 Her roots are in Cape Verde -- a cluster of small volcanic islands west of the African mainland." Sara's album has been in heavy rotation in my iPod all summer. Glad to hear her get exposure to a broader audience! I know, I know, but the girl CAN sing! The Voice of the Summer, today. 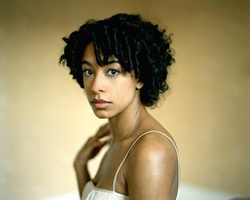 Check out Corinne Bailey Rae. The U.S. version of her debut out June 20, but catch up with her on iTunes; there is a free acoustic version of 'Put Your Records On' free this week. Memorial Day Weekend. Sit back, relax; the world going to hell can wait until Tuesday. 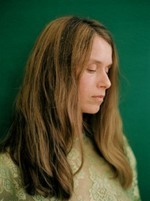 Listening this weekend to the new album from the trippy Argentinean folk songstress Juana Molina, 'Son'. Its not out on CD for a couple of weeks, but iTunes has it now. Enjoy!